Gardeners' World Magazine (2015) | Free eBooks Download - EBOOKEE! 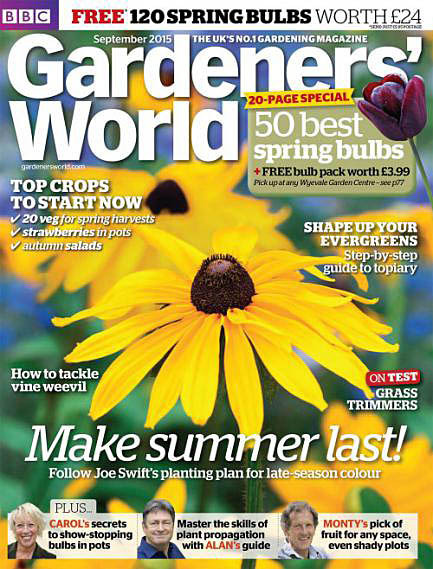 Gardeners' World Magazine - (2015) [12 eBooks (PDF)]|760.22 MB Gardeners' World Magazine is the authoritative voice in gardening, the clear market-leader since it launched in 1991. The award-winning editorial includes topical, practical advice in the readers' favourite 'what to do now' section, and regular contributions and features from the top names in BBC gardening. Packed with fresh ideas and clear advice - the innovative approach offers creative, practical and problem-solving solutions to all keen gardeners. *the March, June and August issues have previously been uploaded here. No comments for "Gardeners' World Magazine (2015)".